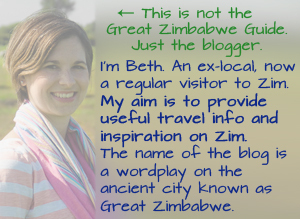 This is the second part of a guest post by Deborah Casalin who visited Zimbabwe for the first time in January. If you missed it, read the first post here. 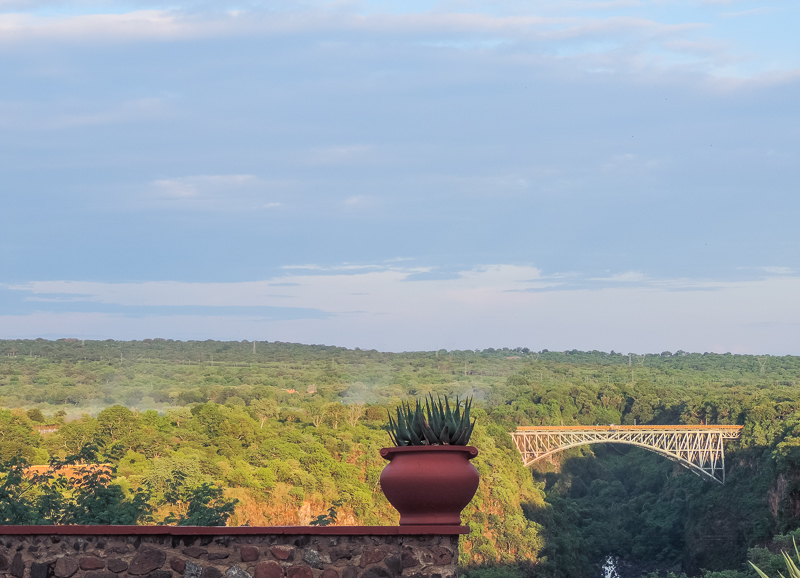 Two nights turned out to be a comfortable length of time for our fairly relaxed combination of a sunset cruise, a day at the Falls, and a leisurely high tea at the Victoria Falls Hotel. A weekend trip might be a bit rushed if you are going primarily for the adrenaline or the animals – though we still had time for spontaneous encounters with both! 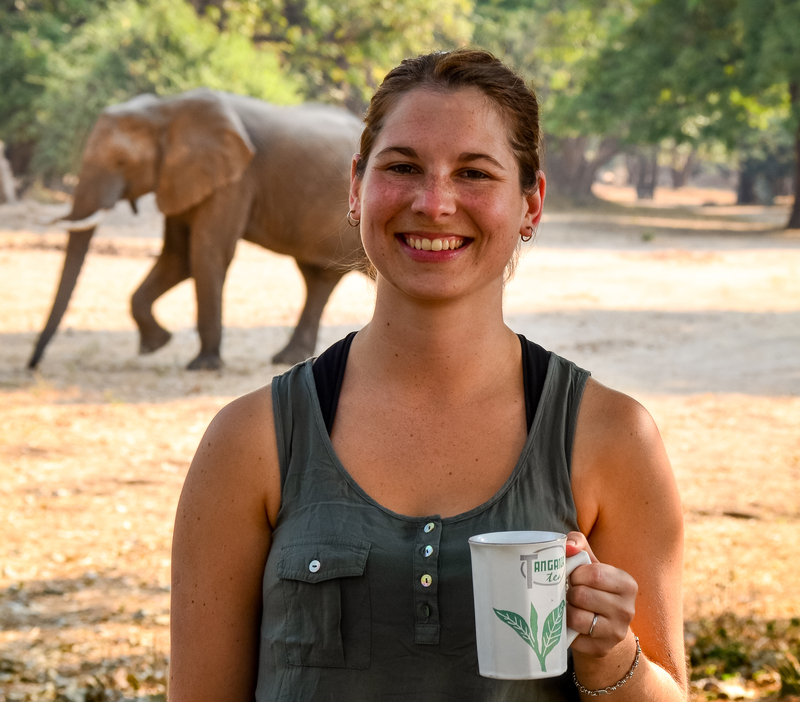 On arriving in Zimbabwe, we weren’t exactly expecting to step into a well-oiled machine. Yet there we were at Victoria Falls Airport, being politely greeted and ushered through passport control and customs before we knew what had hit us. We spent the half-hour ride to town consulting our driver’s handy activity menu, and already decided to book a sunset cruise for that evening and a guided Falls tour for the following morning. So far, so efficient. We then headed into a quiet, tree-lined residential area and arrived at Lorrie’s Bed & Breakfast, where the lady of the house herself greeted us warmly. 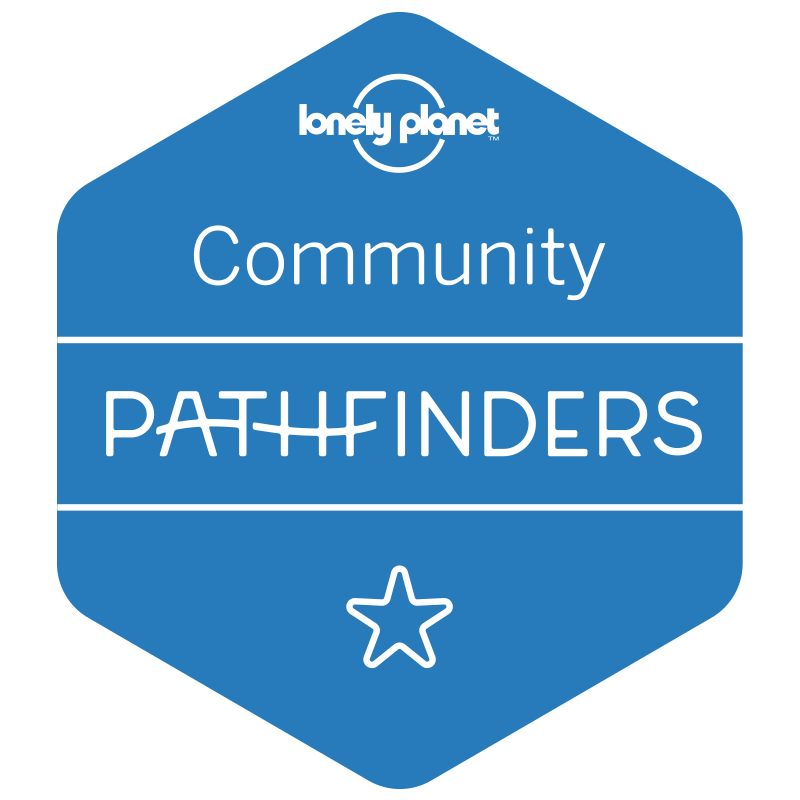 Lorrie had an absolute wealth of advice for us about our stay – on the one day we’d decided to over-plan! 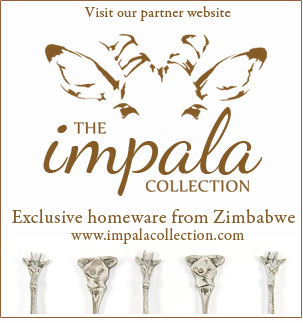 If you stay at Lorrie’s, rest assured that Victoria Falls’ number one info source is close at hand. Getting closer. Photo courtesy of Deborah Casalin. With the sun still stubbornly far from setting, we went to explore the town, an easy fifteen-minute walk away (taxis were also quite reasonable, and all our tours included transport). 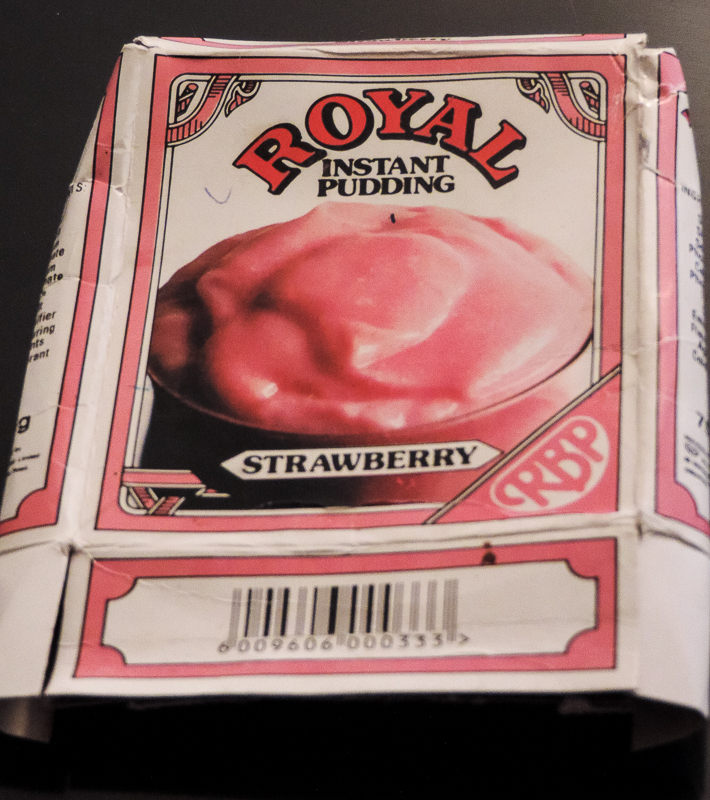 Weeks later, I was devastated to have to discard the pudding, which hadn’t travelled well. 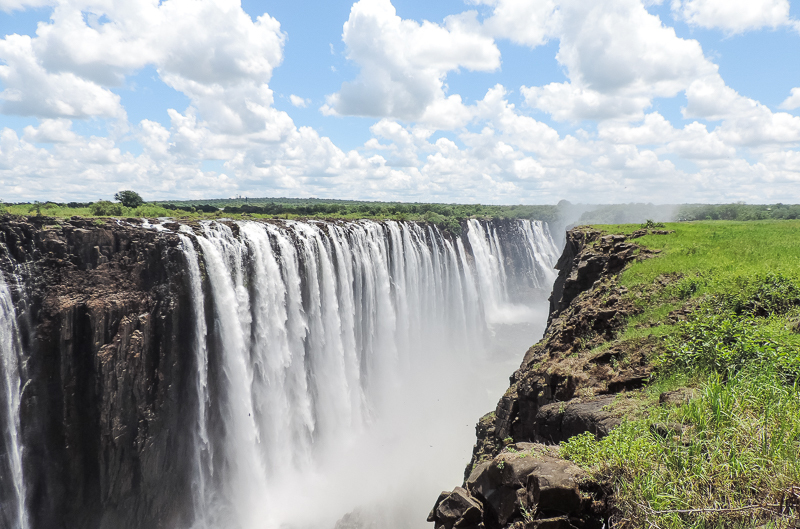 But for the rest of that afternoon in Victoria Falls, the Cherry Plum kept us buzzing like glucose-crazed bees – all the way up to the charming old railway station, down through the 1970s open-air mall, and into the bus to the river. A childhood down the drain – maybe next time. Photo courtesy of Deborah Casalin. We were looking forward to a relaxing evening of scenery, snacks and drinks, but the sunset cruise was so much more than we bargained for. 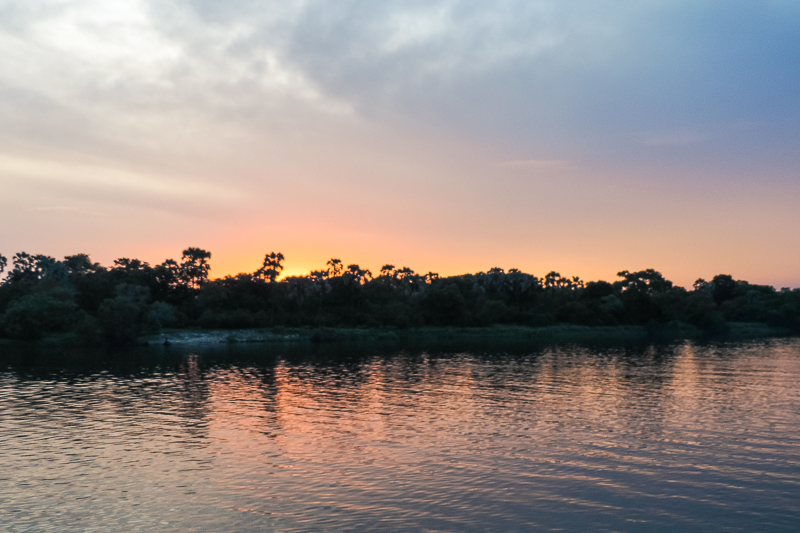 Floating down the magnificent, tranquil Zambezi at the end of the day is really a moment to savour. 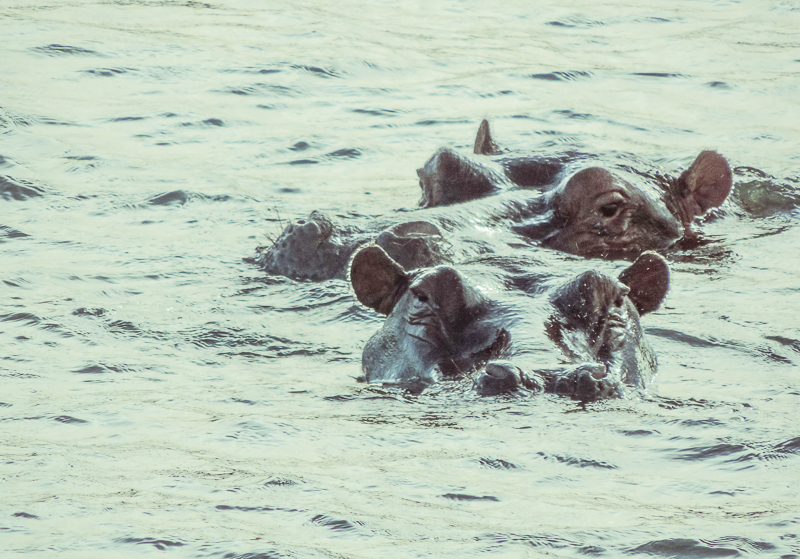 As a bonus, we had some great sightings of crocodiles and giraffes, and the high point was coming almost nose to nose with a pod of hippos (despite the whooping of a troop of tourists in the back, who were navigating their own river of rum and Coke). No zoom – well, almost. Photo courtesy of Tom Nijs. Though the captain offered apologies for a supposedly sub-par sunset, we still felt it was a top-notch evening. After a stop at the convivial bar at Lorrie’s, where guests and locals alike gather, we were more than ready for our spacious room and comfortable bed. Just your average sunset. Photo courtesy of Tom Nijs. 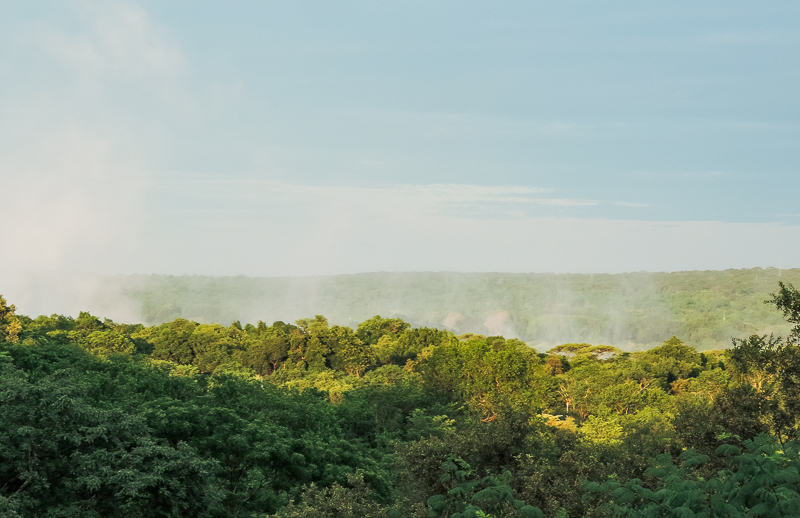 After a plentiful breakfast overlooking Lorrie’s garden, a minibus called to take us down to Victoria Falls/Mosi-oa-Tunya National Park, and the big event. I won’t even try to do justice to the experience of approaching the gorge and standing in front of the majestic Falls for the first time. All I’ll say is that this alone was worth the entire trip, one of those moments of a lifetime. 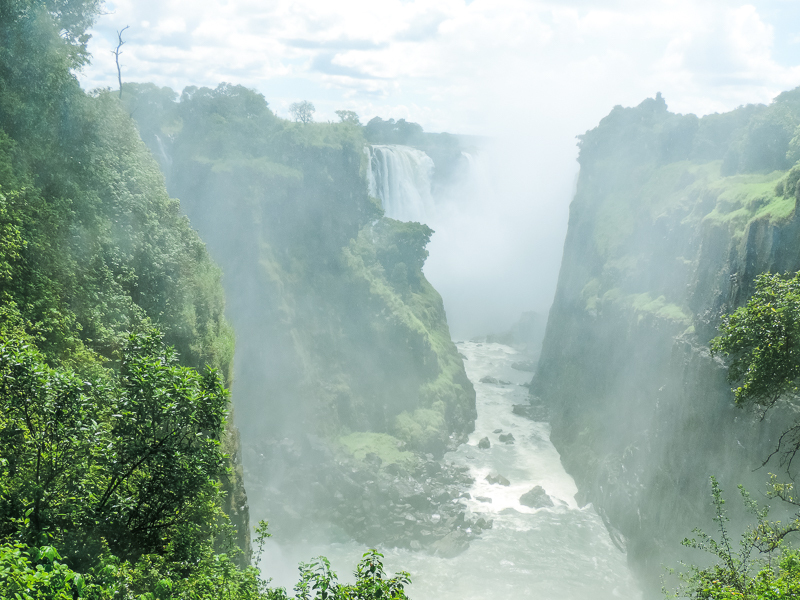 It was interesting to listen to our guide’s stories as he took us down the one-kilometre trail across the façade of the Falls, but we were more than happy to do the walk back in our own time so we could just soak it all up, so to speak. The path isn’t difficult and there’s a lot of information posted at the entrance, so it’s also perfectly possible to do the whole visit solo. In case you’re not familiar with baboons (or even cute little vervet monkeys), here’s what you need to know: they are not your friends. So we’d taken the warnings quite seriously about not bringing food to the Falls. But at the open-air park café, we soon realized that our day-old corn chips would have been quite safe. The monkeys had developed a taste for restaurant food, and had us under siege despite the best efforts of the catapult-wielding staff. After a crafty vervet dashed onto a neighbouring table, broke a few glasses and grabbed a hamburger from a patron’s hand, we decided to set a new panini-eating speed record. So I can’t even tell you if the food was that good. 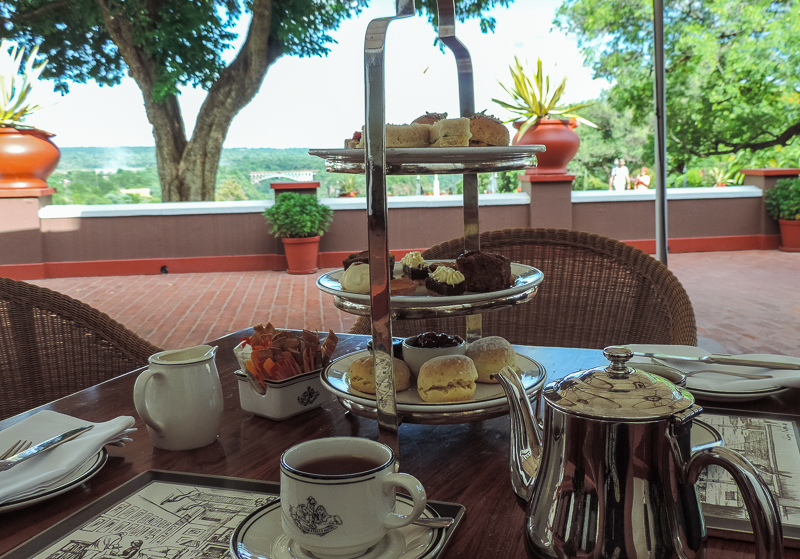 We had another stroll around the park, and then repaired to the Victoria Falls Hotel, as it was already high time for high tea (yes, our body clocks knew this). The hotel gardens were like another world of elegance and calm, and the views of the bridge from the veranda were just breath-taking. By the time the amazing staff brought us our tray of scones, sandwiches and tea, we had decided never to leave. 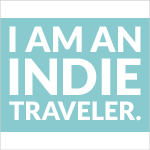 Well, except to get lost in the hallways admiring the hotel’s collection of historic photos and maps. And to have another walk in the gardens, of course. 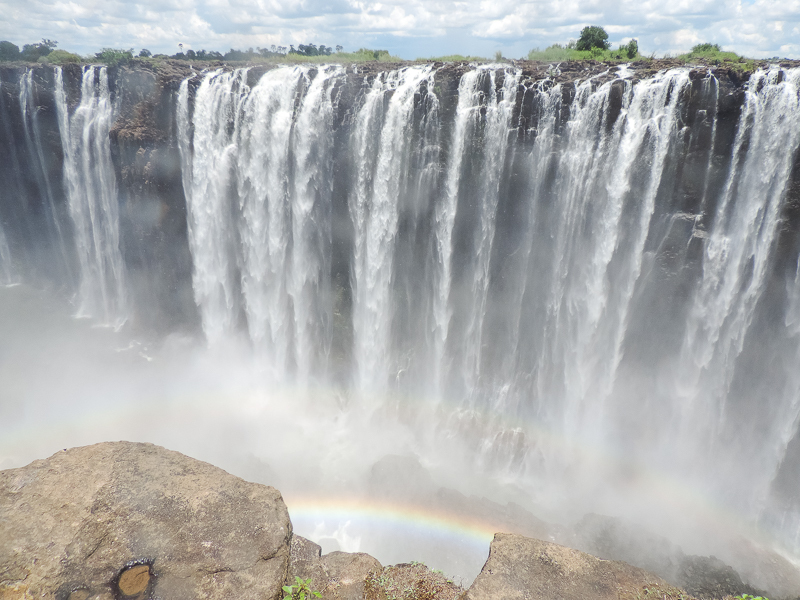 If price were no issue, this is where I’d stay in Victoria Falls – on a long-term lease! An amazing view. Photo courtesy of Deborah Casalin. By the time we’d finished our nibbling and rambling, the sun had almost completely set over the gorge. Regardless, we settled in for a last sundowner cocktail on the veranda – the perfect way to round off a perfect visit. In the final post of this series, Deborah continues her adventure in Harare, where she explores a lunar landscape and discovers giant My Little Ponies (not at the same time).